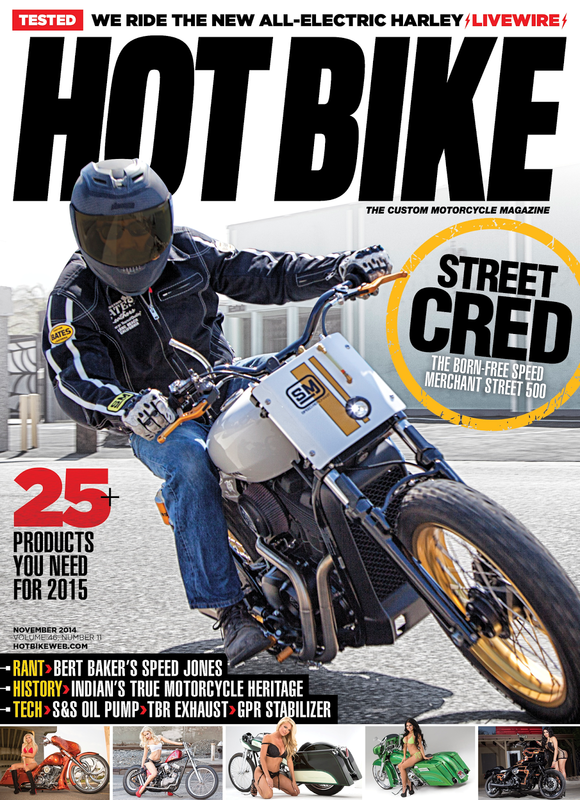 The Born-Free Harley -Davidson Street 500 that was customized by the Speed Merchant is on the cover of the new Hot Bike Magazine. This was a very unique opportunity on a brand new model and we could not be happier with the outcome of the bike. We had some great partners on this project and it was a total success. The bike had it’s big revile at BF6 and then it went straight to Michael Lichter’s display Sturgis. It’s back now and doing a mini tour through So Cal. Currently it’s on display in Hollywood at Tri Co. We have some big plans for the bike for BF7 so stayed tuned for the details. This entry was posted in Street 500 H-D Speed Merchant Born-Free, Uncategorized. Bookmark the permalink.